1/4 tsp salt if desired or salt substitute. 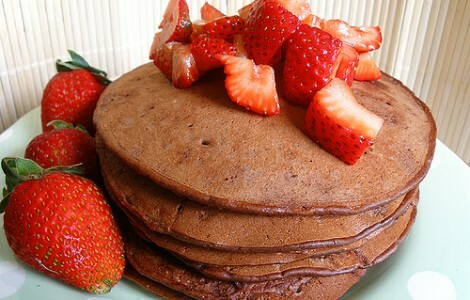 The recipe makes 2 large pancakes, or about 6 of a 4 inch pancakes. ** Can also add greek yogourt, low fat cottage cheese, berries or some oatmeal as desired for different texture and taste. Enjoy!! !